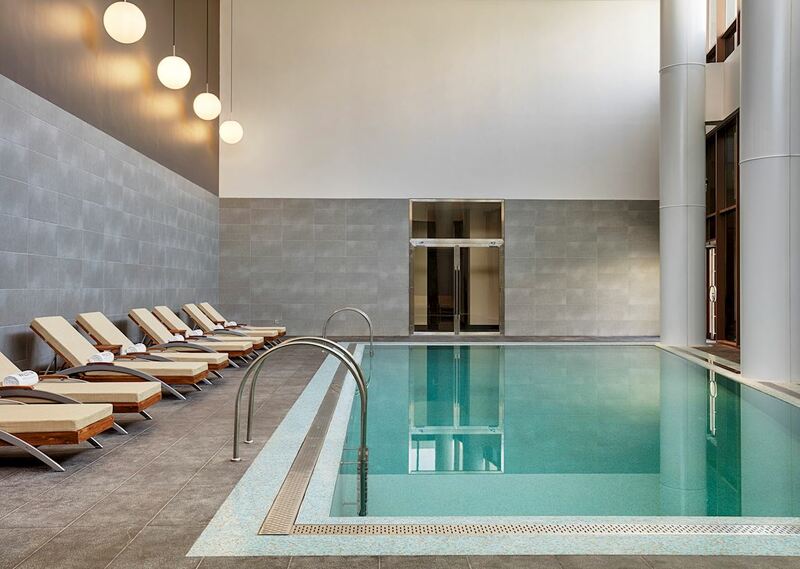 Uncover rewarding physical and mental renewal. Step into a calming spa environment of the Heavenly© Spa that provides the perfect escape from arduous of city life. Featuring nine elegant treatment rooms with designated male and female zones, they include a full bath tub with bath amenities so that you can prepare for your services and may shower and dress in complete privacy. Whether seeking to wind down after an exhilarating day of meetings, looking to relax before an evening out or simply want to be pampered, our massages, wraps, scrubs and facials offer you the opportunity to embrace bliss. Our experienced therapists will ensure that your time at the Heavenly© Spa is all about you. Not Much Time To Relax? Enjoy This Quick-Fix Relaxing Or Invigorating Back Massage For The Person On-The-Go. This Ancient Massage Therapy Is Designed For Well- Being. As The Therapist Presses Upon Various Reflex Points In The Feet And/Or Hands, Toxins Are Released And Circulation Is Improved. Emerge Feeling Deeply Rested And Renewed. The Body Is Scrubbed Using A Bespoke Aromatherapy Body Wash And Natural Exfoliating Olive Grains, Leaving The Skin Feeling Smooth, Followed By An Application Of Moisturizer. Using Natural Aromatherapy Oils And Our Signature Massage Technique. Our Techniques Are Customized To Answer One Simple Question: How Would You Like To Feel? A Perfect Massage For The Physically Active Individual, This Treatment Provides A Deep, Strong Massage To Alleviate Tightness, Strain And Muscle Tension. A Relaxing Treatment With Roots From Native American Culture Designed To Relieve Stiffness, Soreness And Restore Energy. Smooth, Volcanic Stones Are Heated And Then Used With Oil In A Massage. This Deeply Restorative, Pampering, Overall Body Treatment Incorporates Exfoliation And The Layering Of Rose-Based Products, To Immediately Restore The Skin'S Quality And Appearance. High-Speed Hyaluronic Acid Based Treatment Will Hydrate, Firm, And Re-Energize Tired And Stressed Skin. Preventing Treatment Using The Famous Vitamin C Firming Masque To Alleviate First Signs Of Aging And To Improve Pigment Imbalance And Uneven Skin Tone. Traditional Japanese And Soothing Trigger- Point-Massage (Shiatsu) Using Botanical Extracts As Well As Hyaluronic Acid To Softly Stimulate And Balance Skin Functions. Antioxidant Treatment Is Maximized With Pure, Potent Activities To Regenerate And Repair Dull And Tired Skin, While Restoring Luminosity And Preventing Future Damage. This Treatment Is Followed By A Detoxifying Massage. Natural Aromatherapy Oils And A Diverse Massage Technique. Our Techniques Are Customized To Answer One Simple. Question: How Would You Like To Feel? This Ancient Massage Therapy Is Designed For Wellbeing. As The Therapist Presses Upon Various Reflex Points In The Feet And/Or Hands, Toxins Are Released And Circulation Is Improved. Emerge Feeling Deeply Rested And Renewed. DETOX BODY OIL Juniper, grapefruit, and rosemary essential oils, enlivening and deeply nourishing the skin. 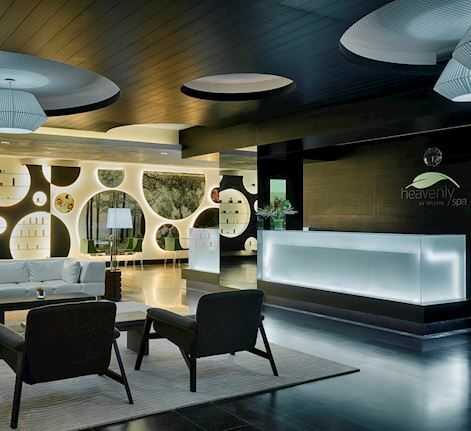 Heavenly Spa by Westin™ A reflection of our commitment to wellness, the Heavenly Spa by Westin allows you to replenish your mind and body with a personal sensory experience.